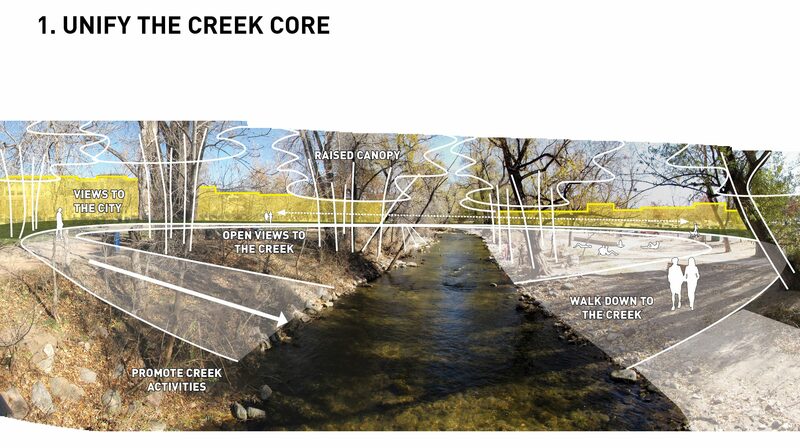 The first-phase of implementation out of the Boulder Civic Area Master Plan, a newly constructed 6-acre green space along Boulder Creek provides an active urban park while restoring an intimate experience with the creek unique to the core of the city. 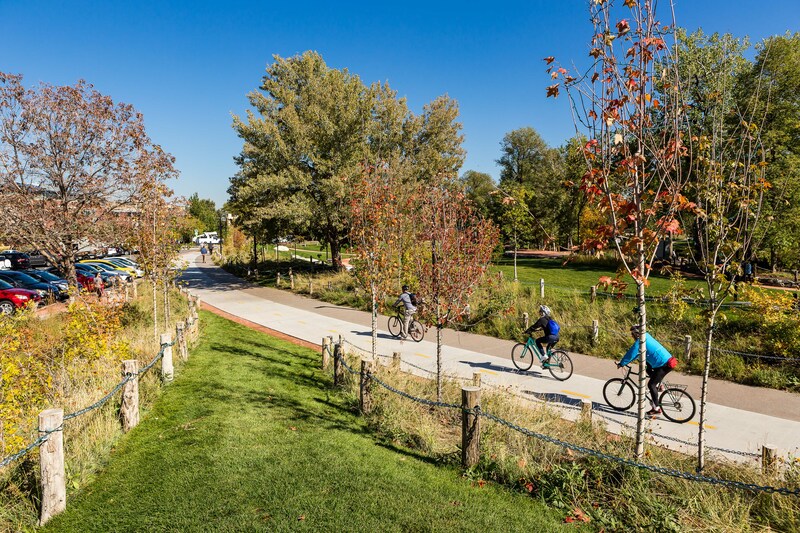 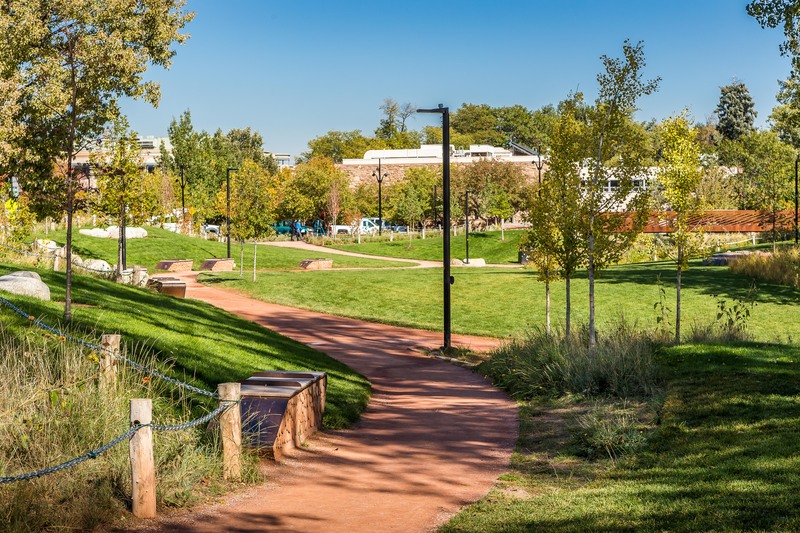 The park is a unifying focus, providing natural beauty, restored riparian function and flood safety as well as recreational, art, and cultural opportunities. 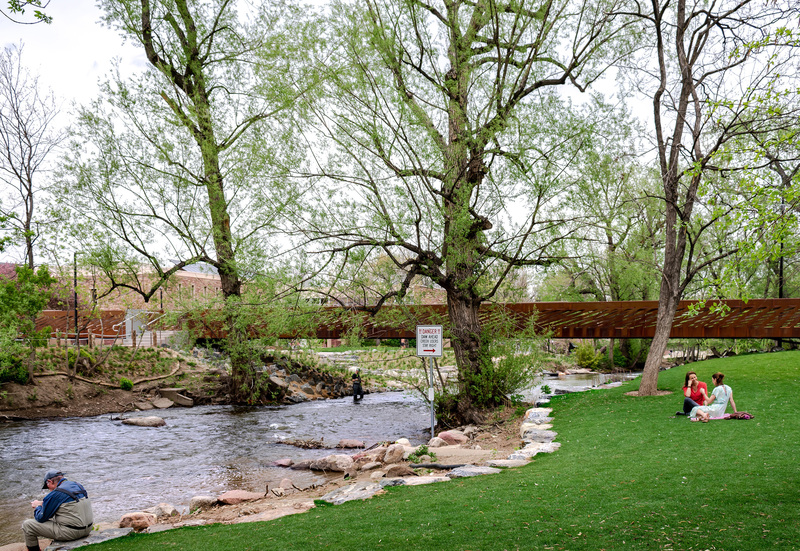 Erik led the design as Principal while at TLS Landscape Architecture. 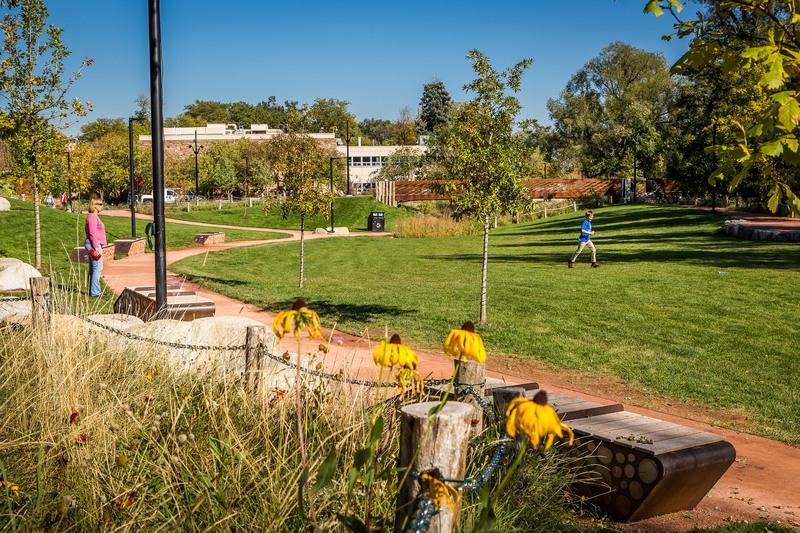 Images courtesy of TLS Landscape Architecture, photo credit JVA, Inc. 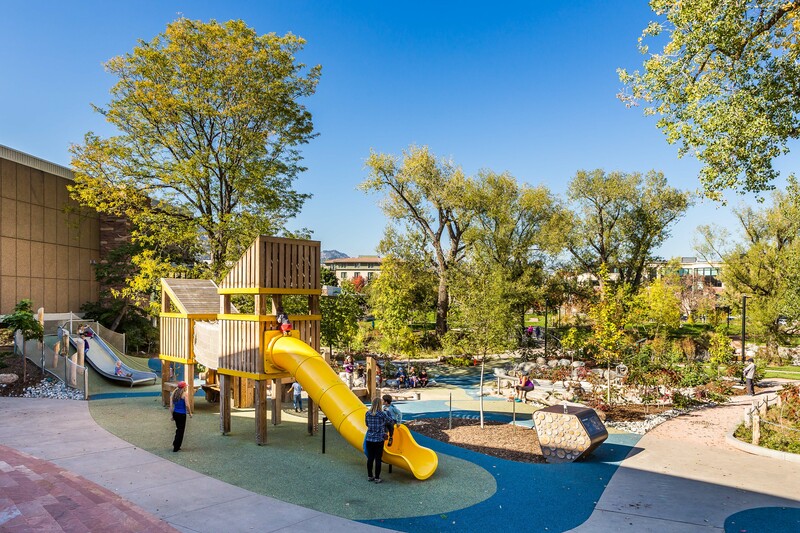 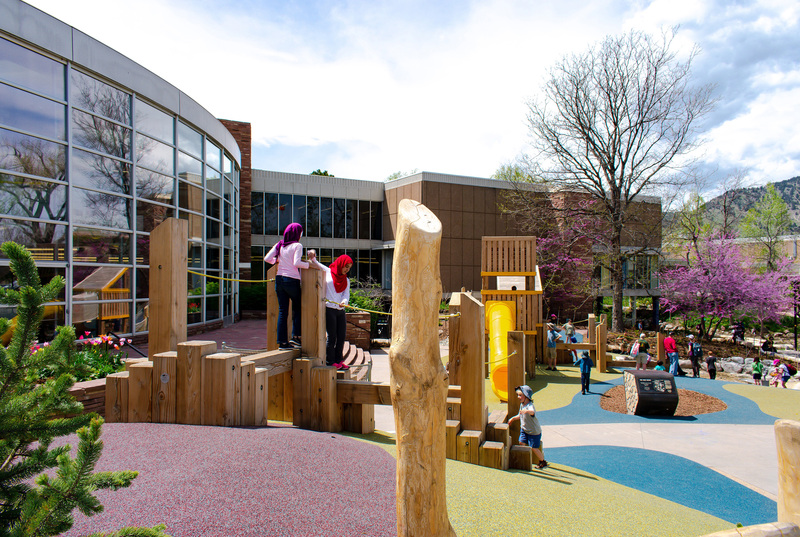 The park provides a mix of spaces that vary in size to create a more human scale environment that is welcoming, safe and attractive for a variety of uses and programs. 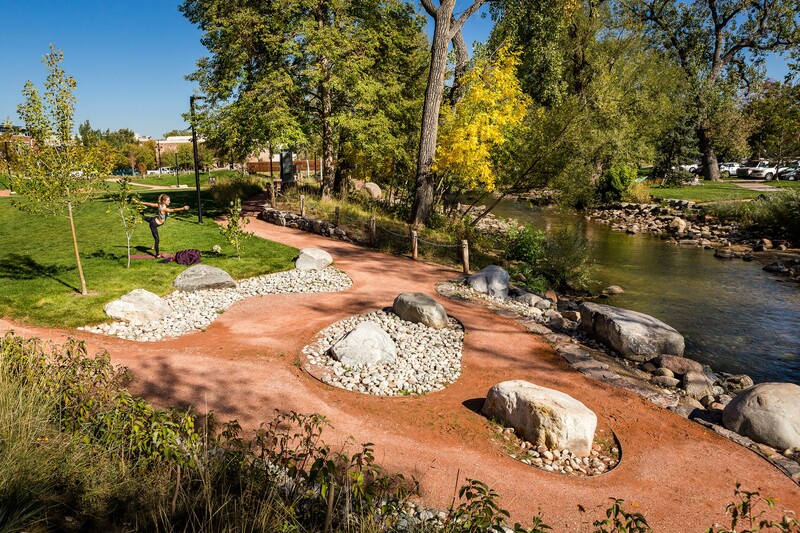 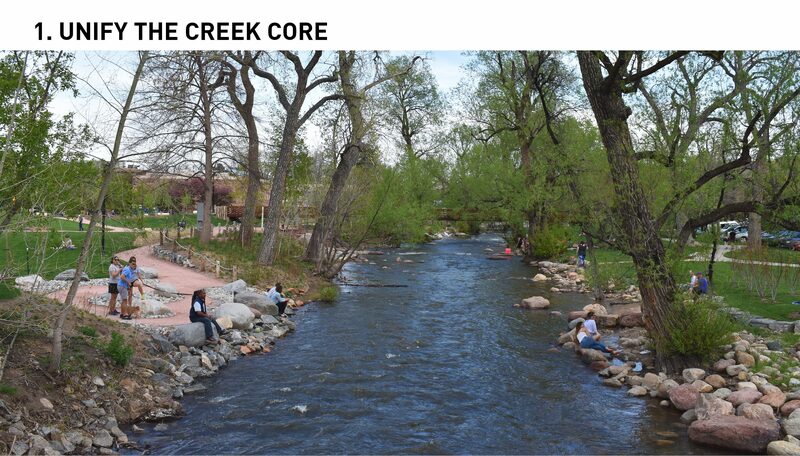 The newly configured open space restores the flood-prone “washes” of Boulder Creek and includes native planting and dynamic topography to diversify habitat and improve safety within the 100-year floodplain. 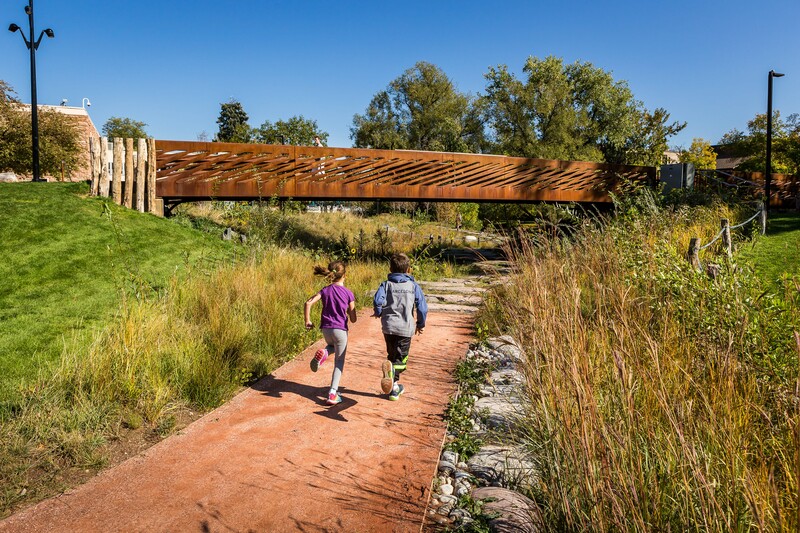 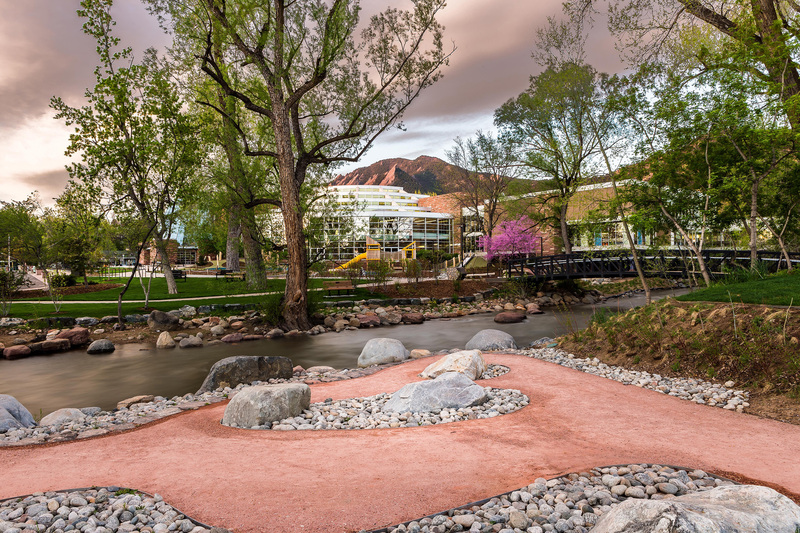 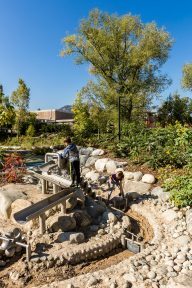 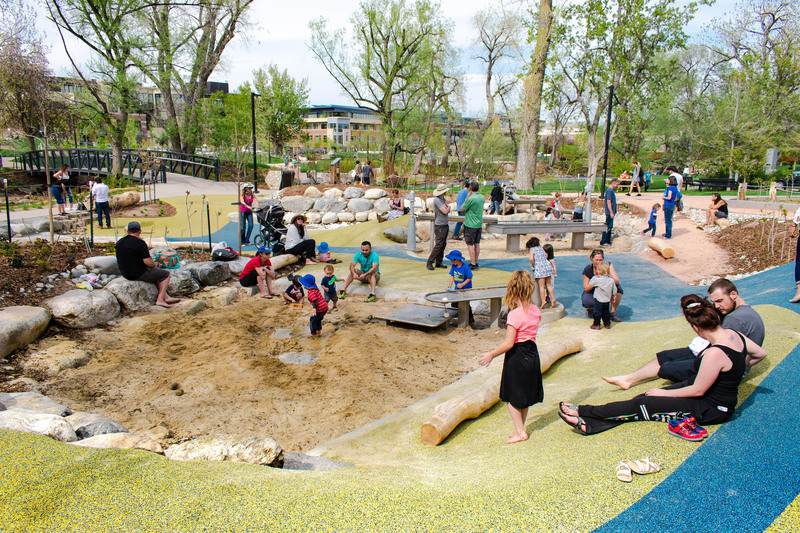 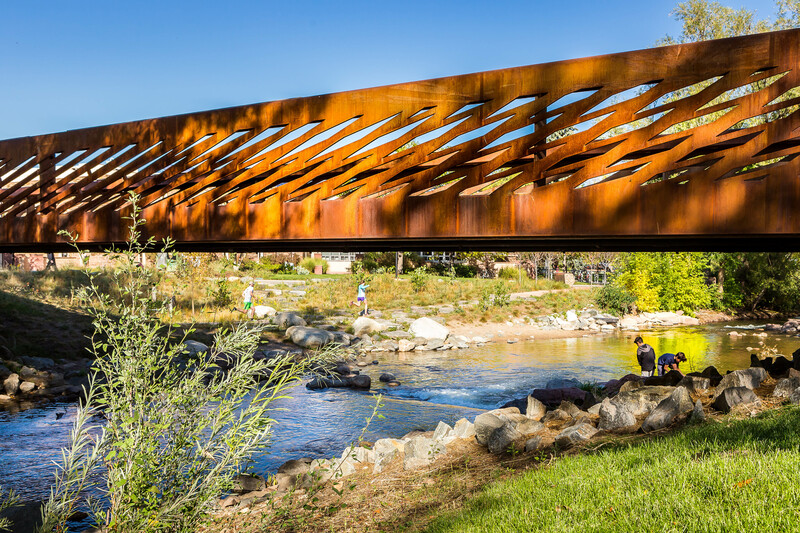 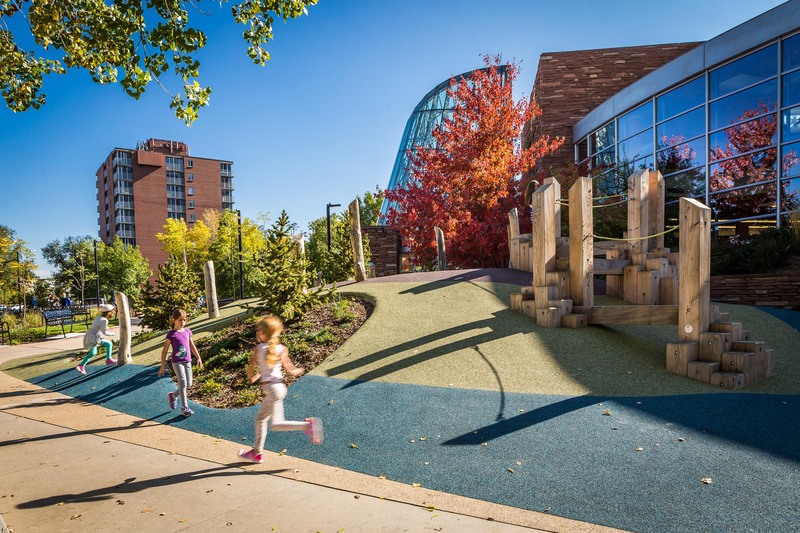 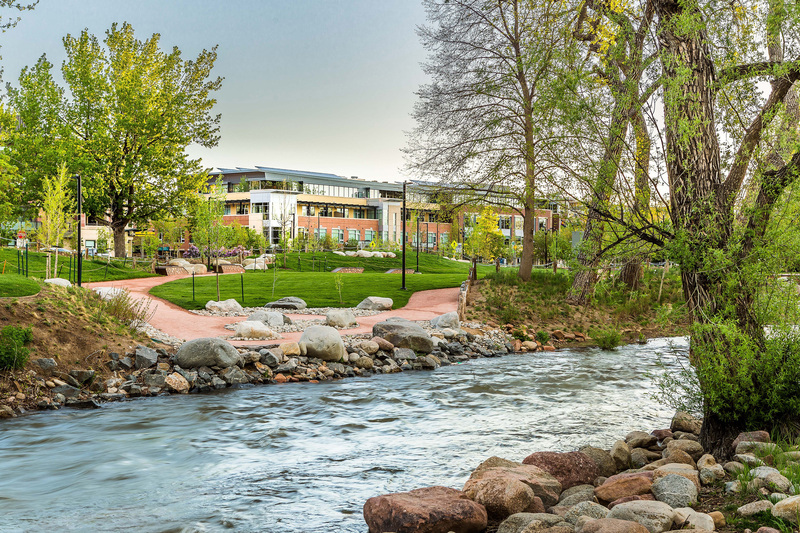 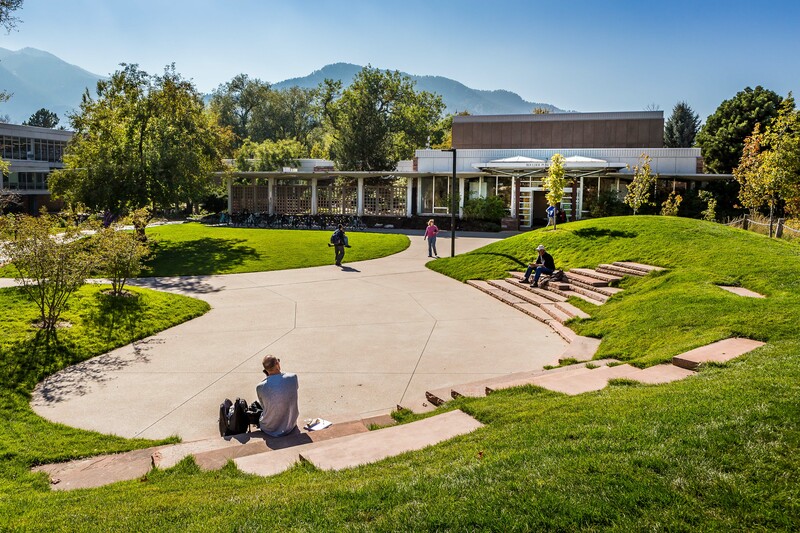 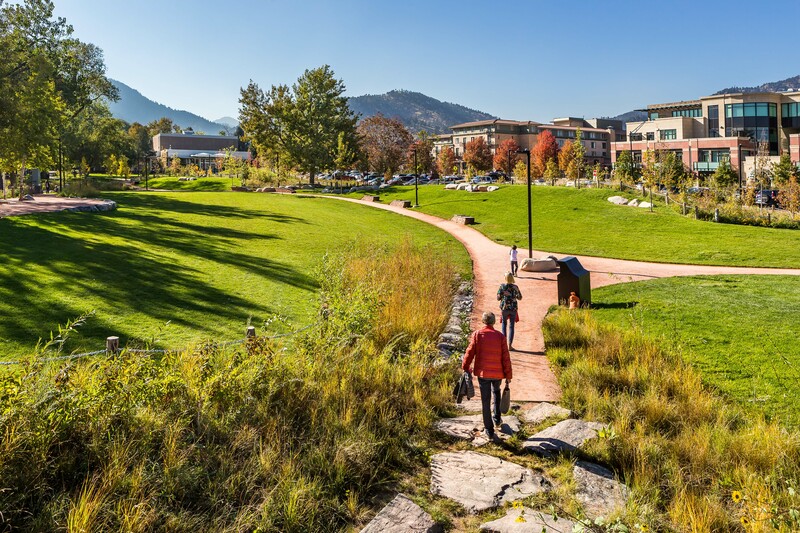 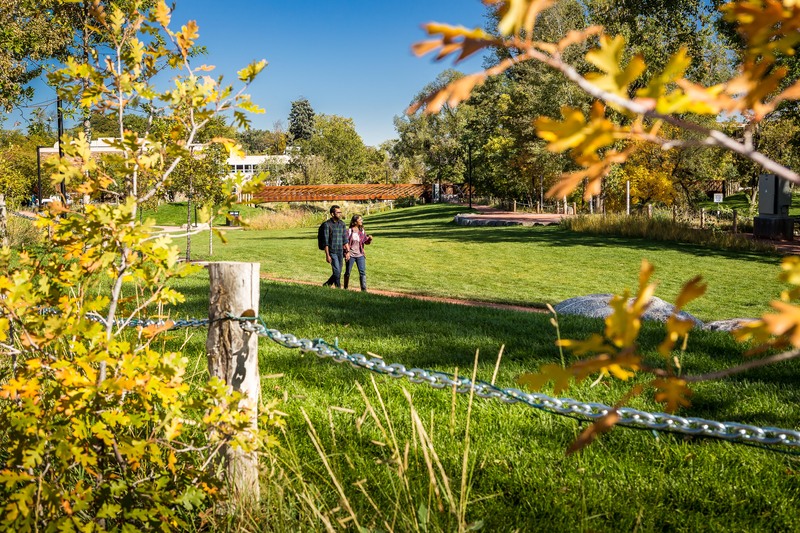 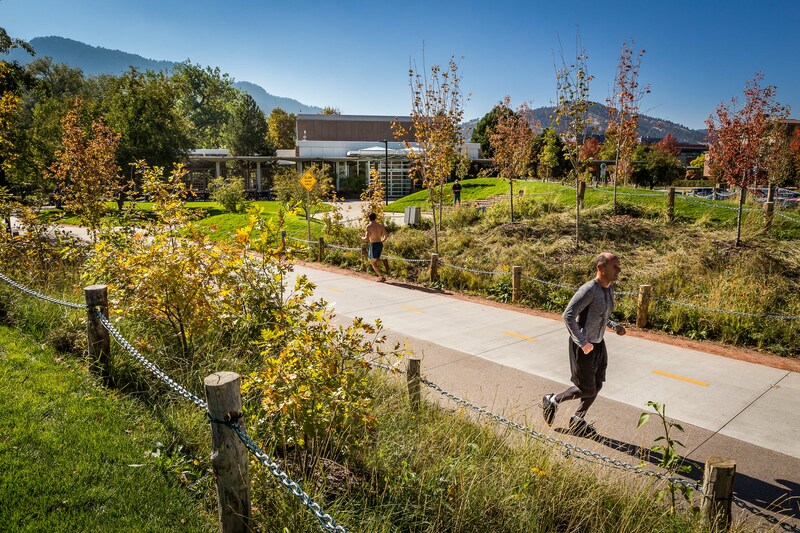 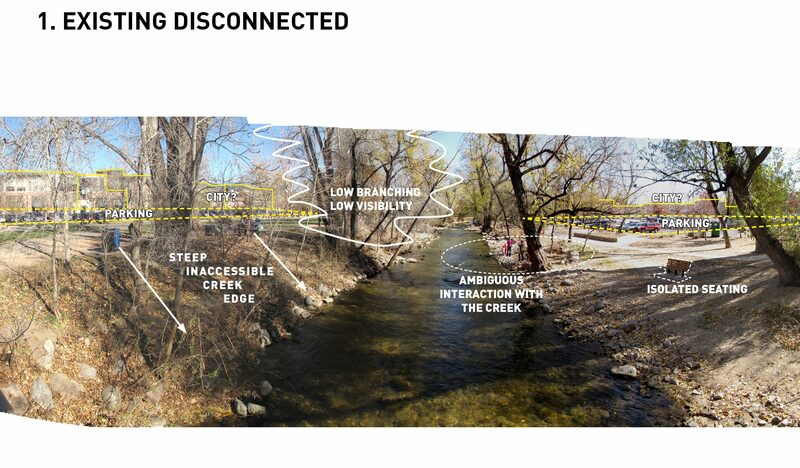 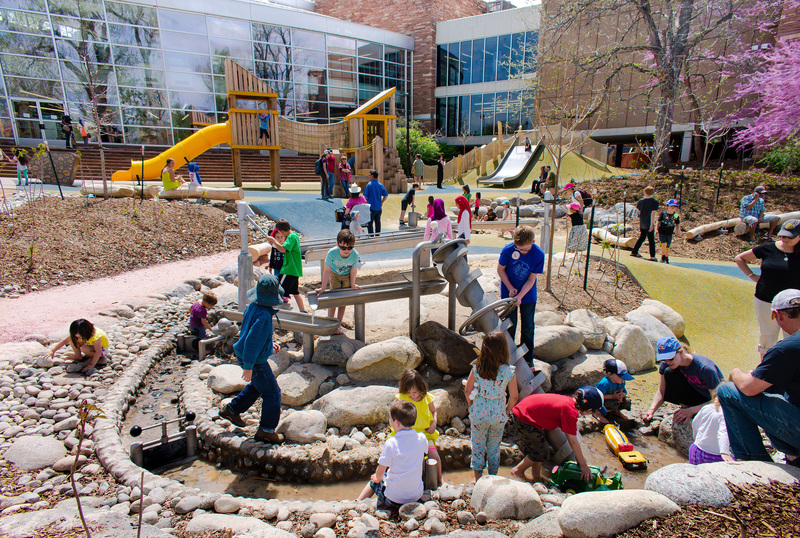 The new park provides for a rich set of experiences in connection with the creek where children can safely play and take in the wonderful views of the flatirons along the shaded paths. 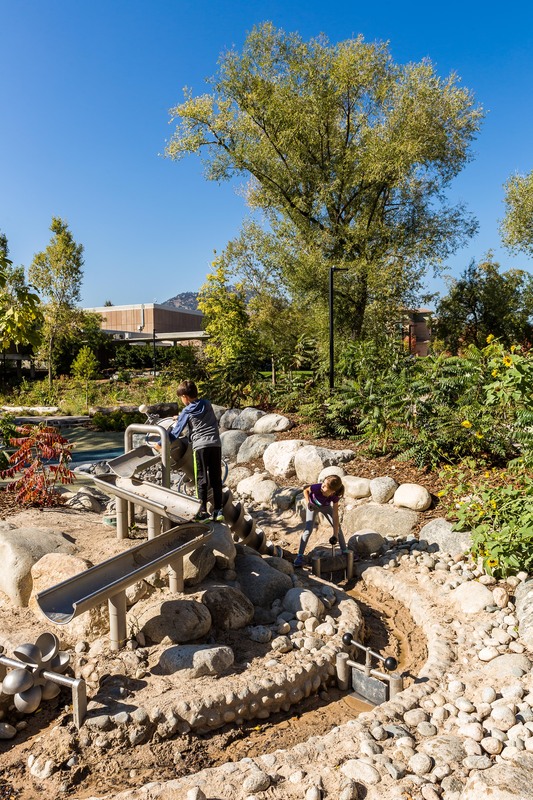 Extensive outreach and design with the community and school children led to improvements such as the Tree House, water play features and a new signature bridge.